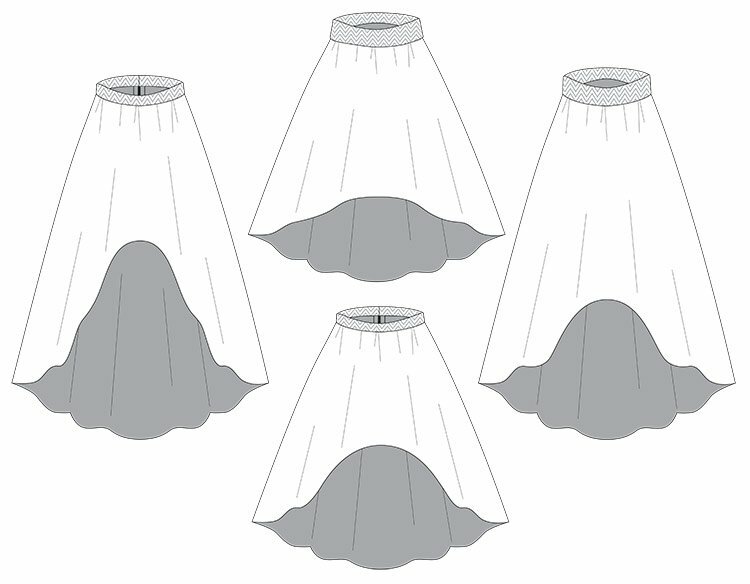 The Duchess High-Low Women’s Skirt PDF Sewing Pattern is the ultimate skirt pattern for every seamstress! You’ll think we’re crazy for giving it away for free. It is made for women that like versatility, practicality and something with a little flare. Well drafted and a clear tutorial! Be nobel! Be a duchess! I made 3 and love em all! An easy quick sew! 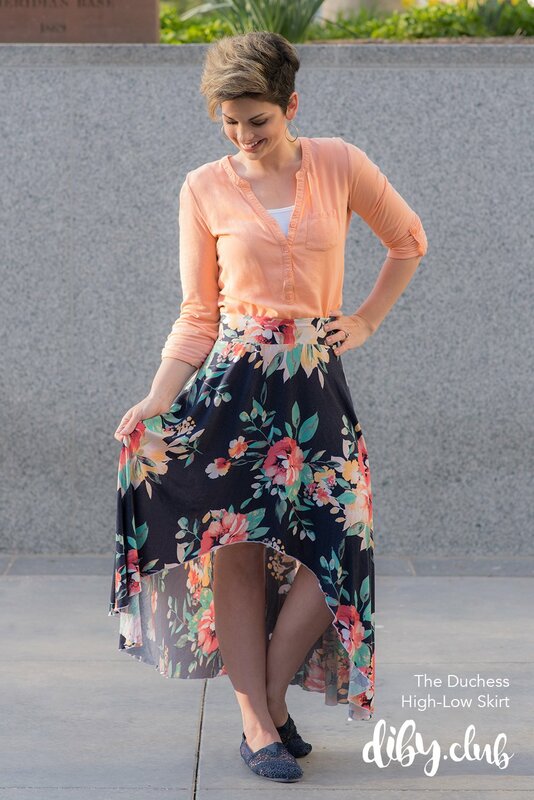 Super easy pattern to put together, and the skirt goes together in a snap! With only three seams, it’s done in a flash and you can have one finished in less than an hour. I’m pretty sure this’ll be half my wardrobe by fall! The Duchess is an extremely versatile pattern, quick sew, and the instructions are wonderful and easy to understand. 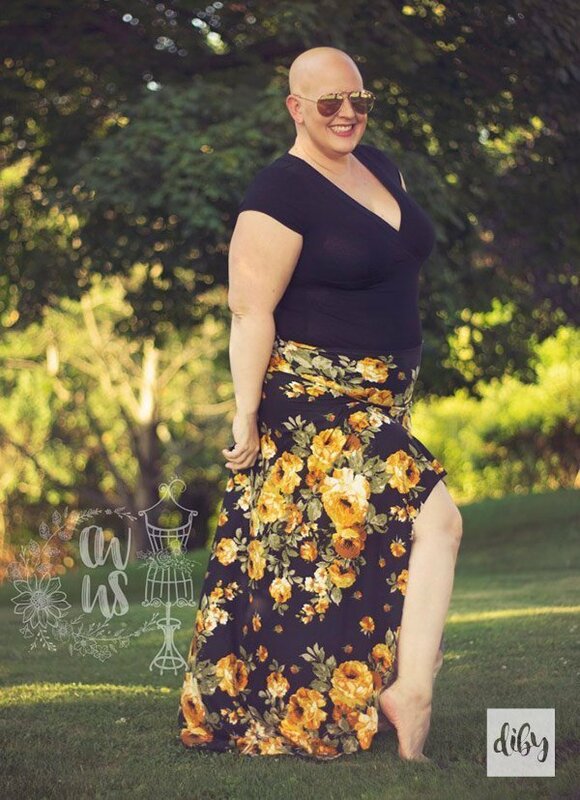 This pattern will quickly become a staple in my closet, and I’m not normally a skirt wearer! The Duchess: simple yet chic, quick yet elegant. 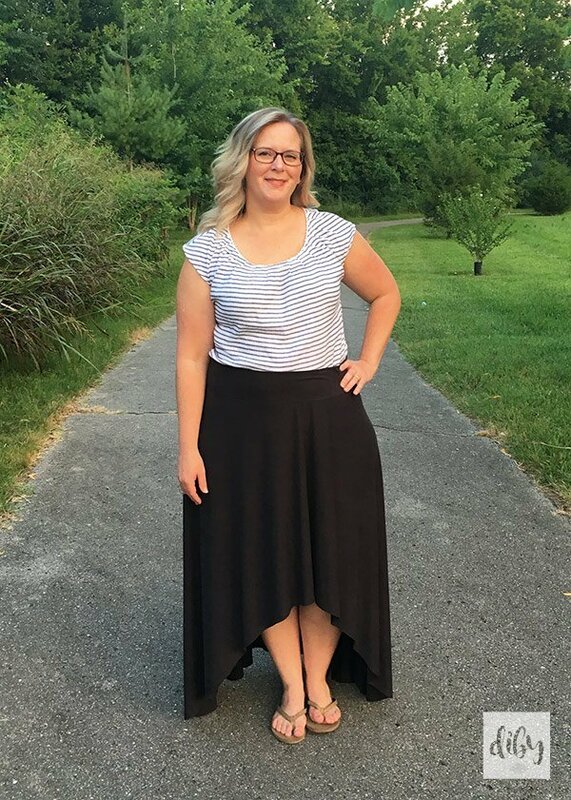 Available in both knit and woven options, the versatility allows me to keep making different versions of this skirt for everyday and special occasions! Beautiful skirt!! Easy, fast sew! 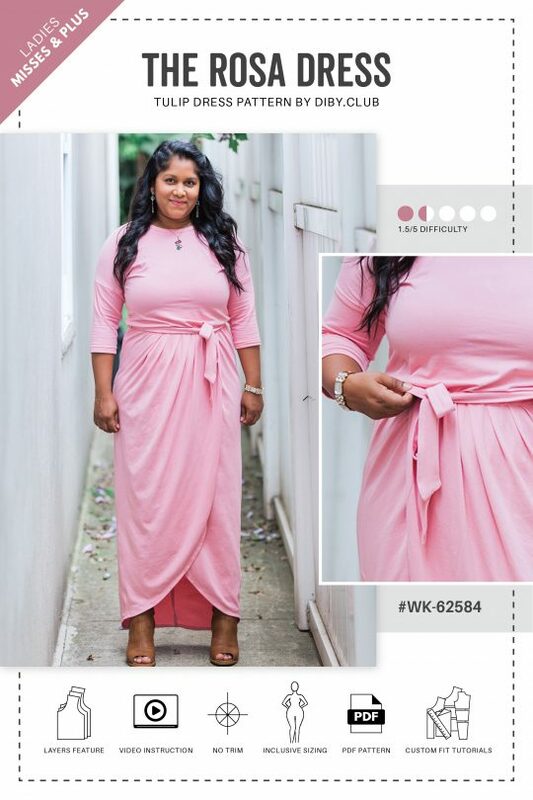 I love the length and hem line options. Definitely a must have skirt in the files! Live this skirt! I live that it can be made with knit or woven fabric as well. That leaves endless possibilities! The directions were very easy to follow which made it a quick sew! Can’t wait to make a few more! 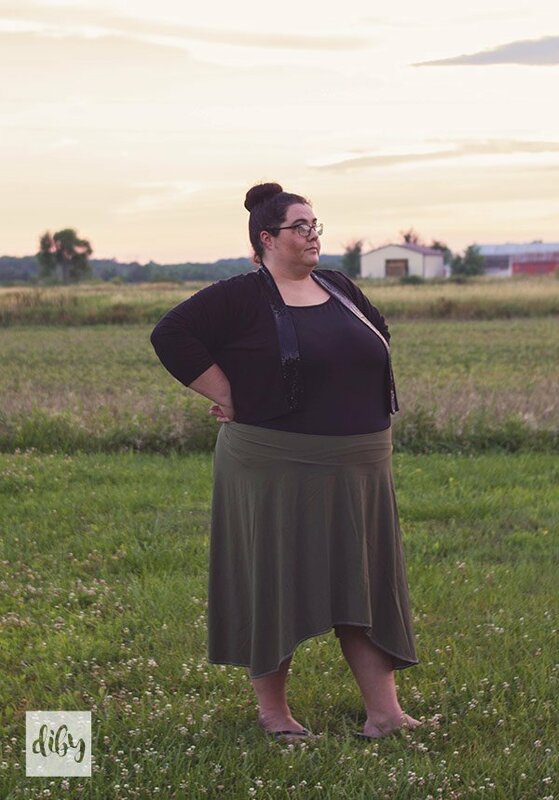 I made a knit midi with the dramatic skirt rise…and it’s LOVE! The pattern is easy to put together (clear, large font and lines) and doesn’t waste ink or paper. The tutorial is honestly the best I have seen with lots of links for extra help, well organized with clean lines/separation of items, and the illustrations make assembly a breeze. This is a quick and easy sew – seriously less than an hour to print/tape/cut/sew. I appreciate the knit OR woven option – which opens the door for endless possibilities. The final product is simply stunning. I used a brushed ITY and the drape was perfect. 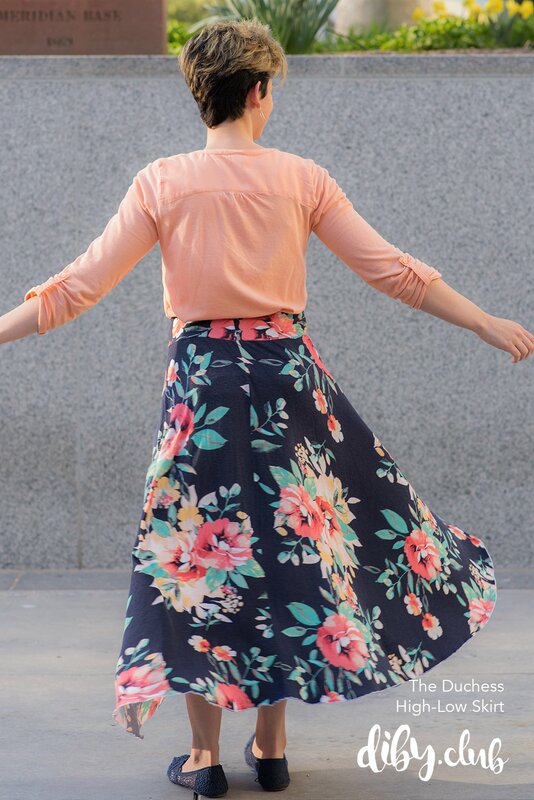 This is a very versatile skirt that can easily be dressed up or down by fabric choice. Since it is designed for knits AND wovens, the options are seemingly limitless. The instructions are so clear and well-illustrated as well. Sew many options for this fun skirt! Perfect staple for summer! I love this pattern! It was such a fun and easy sew. It is classy and comfortable and perfect for chasing toddlers! Great job! The instructions cover everything, a beginner could definitely make this and probably learn a few things while doing it. 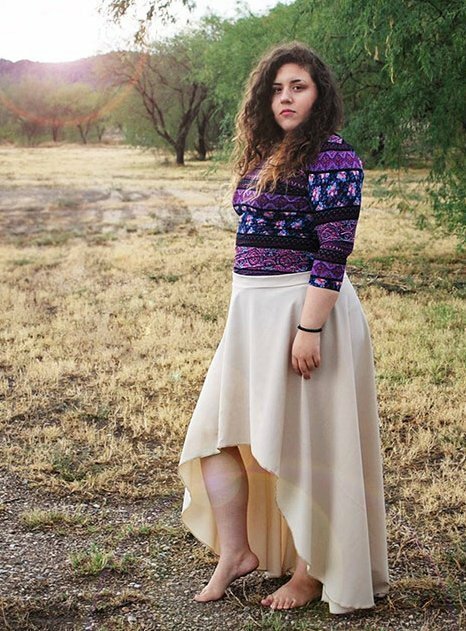 This simple skirt makes you feel so elegant. The directions are clear and easy to follow and I love the versatility of being able to use knit or woven fabric. Love Love Love! Perfect for all seasons!! Je l’adore ?? !! le modèle est top a télécharger d’urgence ! Bravo ??? I love it ?? ! The model is top to download urgently! ??? Finally got around to making making this and I LOVE. It took less than an hour to sew (using knit). I’m short and it including thorough/simple instructions on how to shorten the skirt and still get the look i wanted. I’ll definitely be making more! I love all the diffent options! It’s flirty and modest. I just had a baby about a month ago and have the famous mom tummy. After putting on the duchess I felt more confident despite how I have felt about my body. You NEED this skirt!!! I am fairly new to garment sewing and found this pattern to be wonderfully easy to follow. All the options were easily to understand, and allowed me to make a beautifully customized skirt. The links to relevant tutorials were a blessing and a timesaver. Thank you! I made this skirt in a lovely shimmering silk. The pattern is well written and easy to follow. I am so pleased with the result. I made this with the dramatic cut, and even with the high hem, it was modest enough for my sister to feel comfortable and elegant. I am so grateful that the designer made the pattern available for free! Thank you very much. 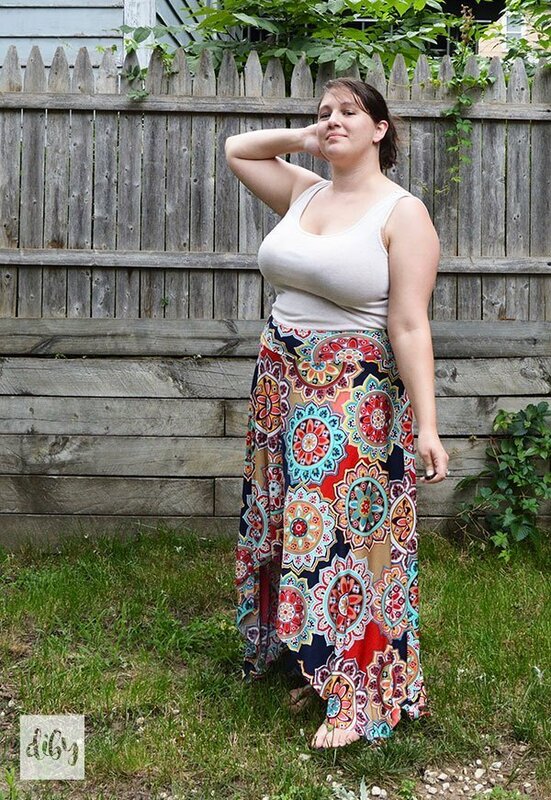 Great skirt for Summer and the best part is that it’s FREE!!! A real easy and fun make….. This is what I was looking for. Thank you so much for this pattern. I haven’t got round to making this yet, as I’ve been busy with other projects. I’m a beginner sewer and the instructions appear to be clear and easy to follow. It looks elegant and I can’t wait to make several ready for the warmer weather. I will update this review after I have made the skirt and report whether it really is as easy as it looks.